Free Angel Patterns and Projects at AllCrafts! 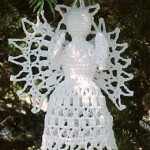 Visit our newest free crafts page — Free Angel Patterns and Projects at AllCrafts! It’s a compilation of all the angel crafts listed in many different types of crafts. All in one handy place! Enjoy!